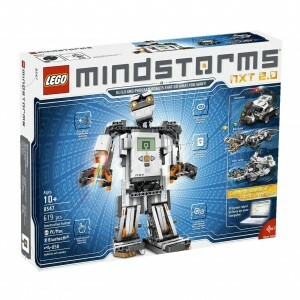 The very cool new LEGO robotics set, the EV3, has quite a range of prices. The LEGO store has it available for $499.99. At the moment that price gets you free postage and the 2013 LEGO Holiday Set. That’s not a bad deal. The LEGO deal looks even better when compared to somewhere like Dstore which is selling the set for $585. EBay starts looking pretty attractive at this point. You can pick up the EV3 on Ebay for around A$380 plus poastage of, say A$80. The trick with Ebay is that they’re all coming from the US so you first have to factor in the exchange rate and then the postage costs and then the delivery time. It still seems to be the cheapest option out there – but it carries the intrinsic risk of trusting an Ebay seller. You might ask yourself why it is cheap through Ebay – the answer is that the set is significantly cheaper if bought in the US. Canny sellers are simply buying locally in the US and selling on to Australia at a profit. Good work LEGO. The lowest local price that leaps out through Google is around $500, or slightly under. If you can do better than that locally you’re doing well. Why is this set so expensive here in Australia? Well, here’s why LEGO costs more in Australia.